Working as a police officer was an experience like no other. My first job was in a town filled with honest hard-working people, with a small handful of others who made it hard for the rest who lived there. It was this "handful" that kept me busy on the job. One of the worse things I saw was the crack epidemic. You can read about it in the news and watch it on movies like New Jack City (still one of my top 10 favorites), but seeing it first-hand changes your outlook on life. The moment I realized how real it was happened when I was called in to do perimeter duty on a homicide that took place in the City of Benton Harbor. A local victim of the drug was given money to purchase crack for people visiting from Chicago. She wound up buying and using $20 worth of the drug before returning to the people who had given her the money to make the purchase. Upset that she had smoked their $20 worth, the two suspects shot and killed the victim before rolling her up in a carpet and setting her on fire in a BBQ grille. This was the biggest wake-up call of my career and it happened only six months after I graduated the police academy. It was clear to me from that point on that drugs were the root of many of society's problems. Lucky for me, I left law enforcement prior to the explosion of the meth epidemic. 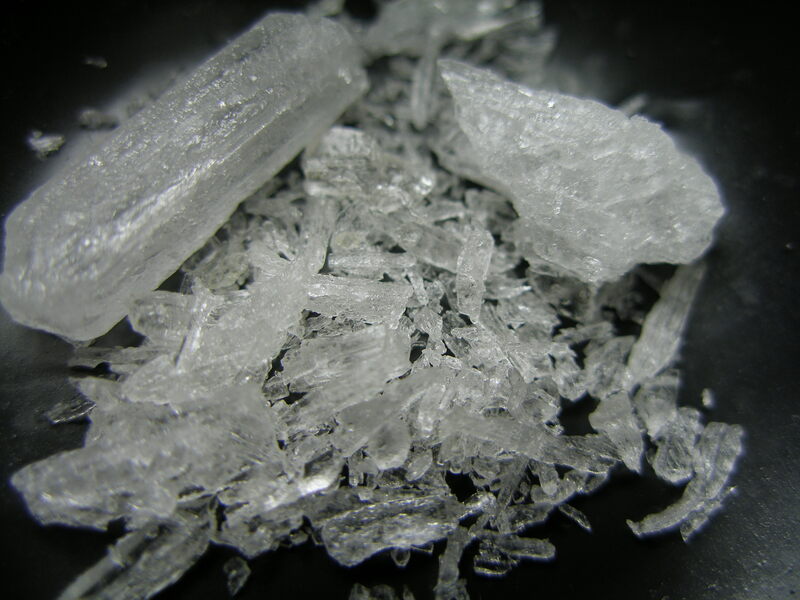 Crystal methamphetamine, a drug that has been around for decades, had largely been replaced by crack-cocaine in the 1980s-90s. Most of the production took place in the United States and Mexico but was not having as much of an impact on society as crack was at the time. So while meth had always been there, it wasn't something that really took off until the 1990s when new ways to make the drug became prominent to users. Close-up of methamphetamine in its crystal form. The clarity of the crystal varies depending on the purity of the drug and chemicals used. Image courtesy of Wikimedia Commons. One person familiar with the rise in the use of meth is Neama Rahmani. He worked in the United States Attorney's Office and prosecuted numerous meth cases. Before becoming the Director of Enforcement of the Los Angeles City Ethics Commission, he prosecuted a case against a fugitive murderer and drug kingpin who was featured on America's Most Wanted. "Meth is cheap to manufacture," Rahmani told me in a telephone interview. "Unlike other hard narcotics (like cocaine that requires coca leaves and heroin that requires poppy flowers), it is entirely synthetic, which makes it easier to produce. Mexican cartels do not need to rely on organized crime in Columbia, Afghanistan, and elsewhere, so they can keep all the profits. In addition, meth is highly addictive and the dosage is low (tenths of a gram), so the cartels make a huge profit on the drug." This makes sense as reports now show that most of the meth in the United States is controlled by major drug cartels from Mexico. Meth gets into the hands of users in many ways. A recent article in the Business Insider documented someone trying to smuggle the drug inside hollowed out tortilla shells. While the ingenuity shocked me, Rahmani didn't seem fazed. "I've never seen it in tortillas, but I've seen meth smuggled in and transported through every possible means: body cavities, car compartments, toys, tunnels, drones, speed boats, and submarines. Nothing surprises me anymore." 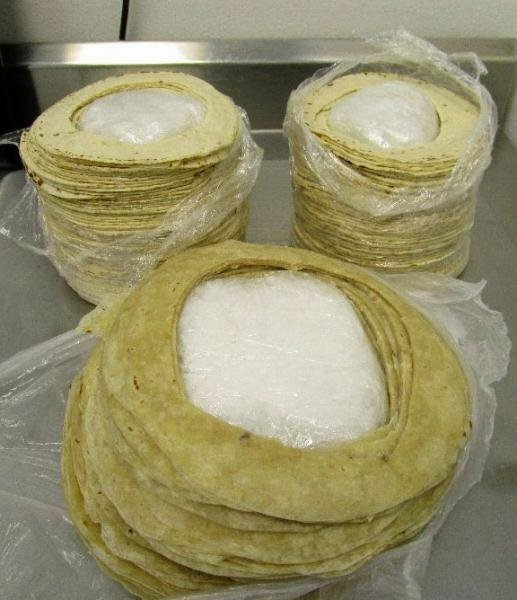 Methamphetamine hidden inside tortilla shells, recovered by Customs and Border Patrol officers in Arizona in October 2016. Image courtesy of U.S. Customs and Border Patrol. After doing some more research, tortillas no longer surprise me either as meth can wind up anywhere. I even found a story about a user who deposited her meth at an ATM instead of the cash she intended to bank. The drug has become so prominent in society there was a television series based on the manufacturing of the product. Is Meth Here to Stay or Can It Be Stopped? Wishful thinking I guess, but I still had to ask. With a drug as addictive as meth, stopping it is vital. Unfortunately, I do not see it being curbed anytime soon. History has shown us that the war on drugs has not been a successful one. "The war on drugs will never be won," says Rahmani, confirming my sentiment. "Even on our best days, I'd estimate that we catch less than 10% of the drugs flowing into the United States." One of the dangers of methamphetamine is the mess it leaves behind. The chemicals used are hazardous and can cause death if inhaled. There have been many reports of houses blown up due to meth lab explosions. Image courtesy of Wikimedia Commons. Even though it seems like a losing battle, it is still one that many are willing to fight. In 2005, the United States enacted the Combat Methamphetamine Epidemic Act (CMEA) which sought to regulate the purchase of ephedrine, a common ingredient in meth. This is the reason why you can no longer purchase certain over-the-counter medicines, such as Claritin-D, without showing your identification. 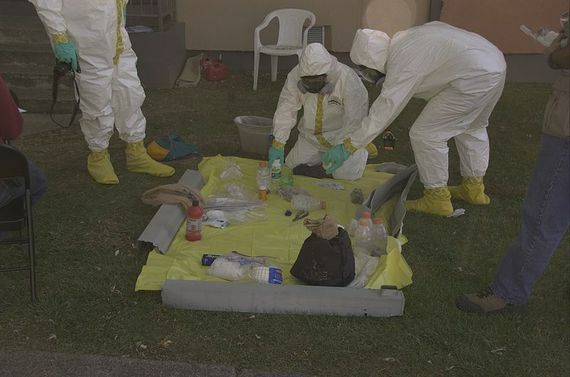 Statistics have not shown one way or another that CMEA has made a significant impact on the meth trade, but many believe it has. "I think it's been very effective in reducing methamphetamine cooking in the United States," Rahmani says about the law. "You don't see labs in the desert like you used to find 10 years ago. Unfortunately, most of that activity has moved to super labs in Mexico, just a few miles south of the border." The smuggling of the drug into the United States has also been a tough one to prosecute. "The hardest cases to prosecute are supposed "blind mules,'" recalls Rahmani, of his time with the Justice Department. "They are low level individuals in the drug trade and they believe they are smuggling something else into the United States, and are caught with meth. They can be sympathetic defendants because they may be young, unsophisticated, and know very little about how the drug trafficking organizations operate. Sadly, they also take the biggest risk and get caught the most often." So can we make a dent in the meth epidemic in the United States? Hell, who am I to tell you. I'm just a writer. I gave up my life as a cop years ago. I will say that it is evident there is a problem and we as a society need to find a way to decrease drug use as a whole. Rahmani has left the drug prosecution trade as well, currently working as a trial attorney for West Coast Trial Lawyers here in Los Angeles. But, while he spends his time in private practice taking on celebrities, others are still taking up the fight. Before I leave you, I want to make sure you noticed how I used the term "victim of the drug" earlier in this story. After seeing what I have seen, there is no room for anyone to judge someone addicted to a dangerous drug. Unless you have been in their shoes (and I pray you never are), lean towards empathy and not criticism.